What’s the difference between a UHF remote and an RF Remote? 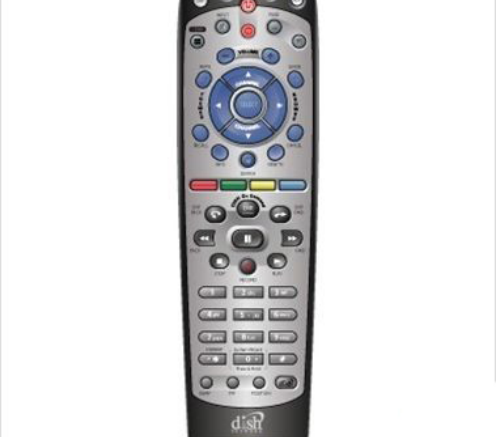 DISH calls them UHF remotes. Everyone else calls them RF remotes. But the truth is, they are the same thing. UHF is a part of the entire RF spectrum, and in fact all RF remotes use the UHF band to communicate. So do Bluetooth devices and cell phones. It’s a pretty crowded place considering that there are a bunch of TV channels there too. DISH uses UHF technology to allow one receiver to control two TVs in different rooms. Because the signal travels so well through walls and doesn’t require pointing, the average user doesn’t know the difference! Why is an RF remote special? Whenever you have the chance, you should be using an RF remote. The most common type of remote is “infrared” or “IR.” It’s an inexpensive and proven technology that’s been used on electronics since the 1970s. An infrared “emitter” (actually a light bulb or LED) flashes a specific pattern. Because it’s in the infrared spectrum, you can’t see it, and although infrared radiation generates heat, there isn’t enough for you to worry about. A sensor on the equipment is always watching for those flashes and when it sees them, it decodes the pattern and does what you’re asking for. This works well, as long as you follow the rules. The remote has to be pointed at the device. The sensor can’t be blocked by a door or some other piece of equipment. The signal from the remote has to be strong enough and there can’t be a lot of other infrared flashes going on at the same time. A remote that uses RF is essentially using the same technology as cell phones. It’s sending a signal straight from a broadcast antenna in the remote and that signal is picked up by a receiving antenna. The signals pass through wood, stone, and aren’t even really too bothered by a little metal. This means that you can put your device nearly anywhere — even in the next room — and it will work well. Every RF remote also has an infrared emitter. This lets it control the volume on the TV or on other devices that don’t use RF. There is no universal standard for RF remotes so most devices that use RF remotes can also be operated by infrared. The remote is smart enough to send out an IR signal when you press the volume button and an RF signal when you press any other button. What about Bluetooth and IP remotes? Click here to shop UHF remotes at Solid Signal!